Children under the age of 2, fly for free if they do not require their own seat (on international flights there’s some fees they must pay). 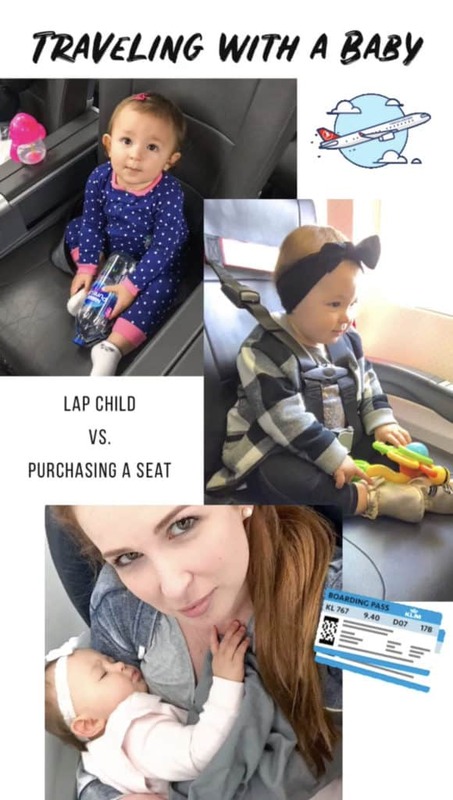 There’s huge savings by not having to purchase another seat, but there’s also several downfalls to traveling with a baby on your lap. As it is, airplane seats are tight, add in a rambunctious toddler and it could be a disaster. Here’s everything to take into consideration before making the decision. Cost: This is usually the most important factor. Sometimes flights are extremely expensive and it’s just not worth it. 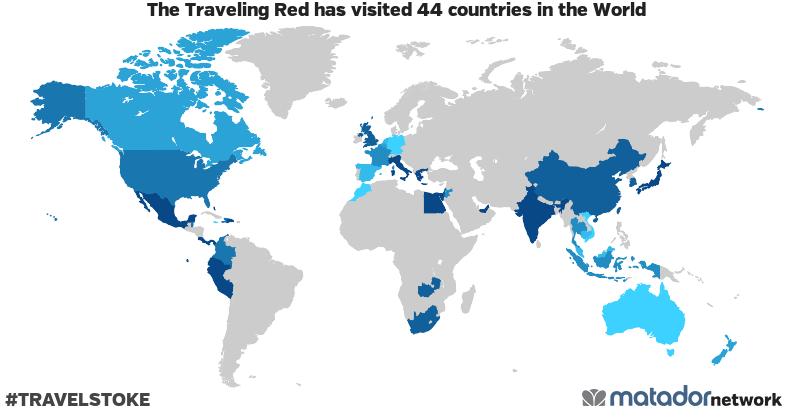 Other times, flights are affordable and it’s not a big deal. There’s no number that I draw the line at. It really depends on your budget and what you prioritize. Duration of the Flight: It’s easier to keep a kid confined and entertained on a short flight. Long flights become more of a struggle. I usually buy my daughter her own seat, however on short flights if the seats are expensive, I will just opt to carry her. I can manage dealing with her on top of me for a couple of hours and I’d rather spend that money on something else. Seat Selection: This is a big one! The right decision for one class of seat, might not be the same decision for another class. For our month long trip to the Middle East, my decision came down to the class of seat we purchased. If I had flown business, then my daughter had to sit on top of me. She’s too little to have her away from me. Business class seats on international flights tend to have their own area, so she would be out of my reach and that does not make me comfortable, considering she had just turned 1. Instead I opted for purchasing her a seat with us in Premium Economy (a larger, more comfortable seat, but still with the normal setup of the seats side by side). 2 seats in Business class was only a little more expensive than 3 seats in Premium Economy, so this decision came down to what we thought would be more practical for a super long flight. Premium Economy allowed me to have her right next to me, while giving her her own space to play and be free. On the first flight, I regretted my decision because she slept 8 hours and ended up sleeping in my arms because the seat didn’t recline all the way (in other words, I barely slept a wink). However, it worked out well on the return flight because she barely slept and played the whole time. Your Child: At the end of the day, it really depends on your child. If your child doesn’t sit well on their own, then I definitely suggest carrying them. But for babies that sit well and are mobile, think about how active your child is. Maybe your child is super calm and cuddly and will just hang out on top of you the whole flight. Maybe you have a super hyper kid that needs their own space. You know your child best. 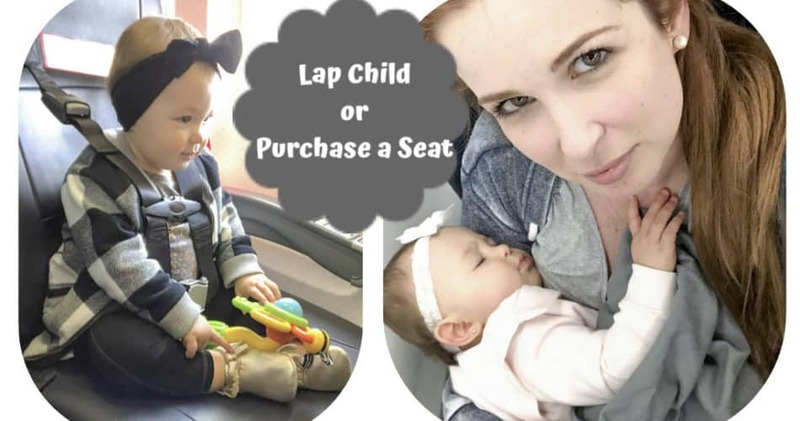 If you decide to purchase your child their own seat, there’s several things you can do to keep them safe and comfortable. You can take your car seat and strap them into that. I rather not keep my daughter so constrained. What worked best for me, was an FAA approved baby harness I purchased on Amazon (purchase it here). It kept her safe, while giving her freedom to play. I purchased it for a flight to Colorado when she was 9 months old and it worked perfectly. For our trip to the Middle East I forgot it at home and I missed it soooo much. I wanted to turn around to go get it when I realized that it stayed on the table by the front door, but I would have missed my flight. 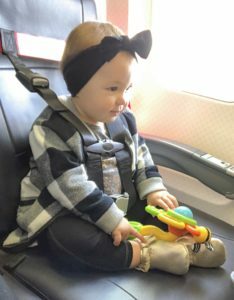 Here’s a picture of her wearing it, it’s a harness that goes around the seat back and then attached to the airplane seatbelt. At the end of the day, no matter what you decide, you’ll get through the flight. What is the right decision for one flight, might not be the right decision for the next. That’s just how it goes. Make the decision that works best for you and your family and enjoy your trip.